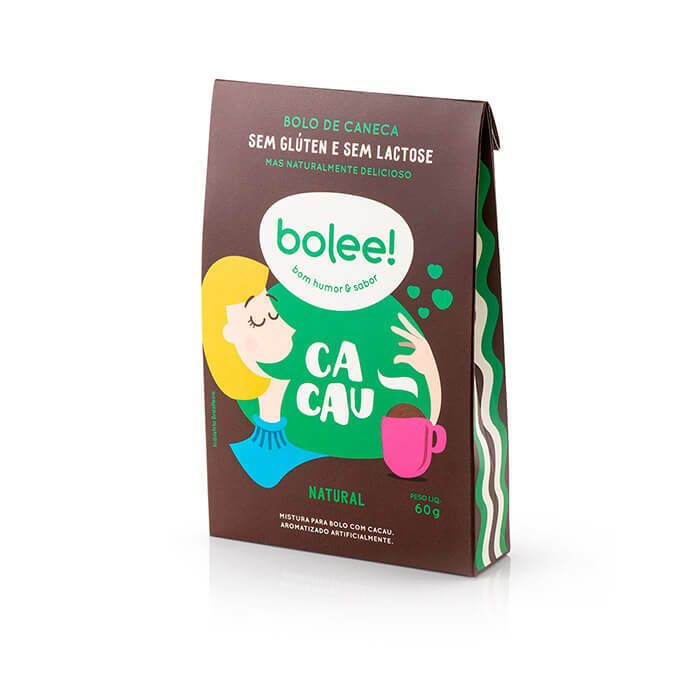 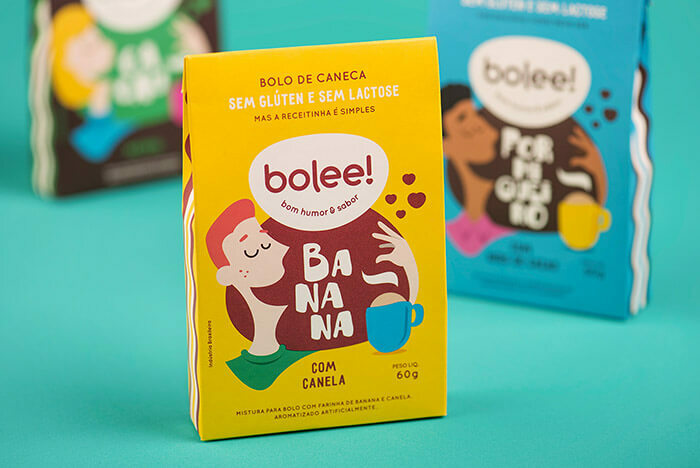 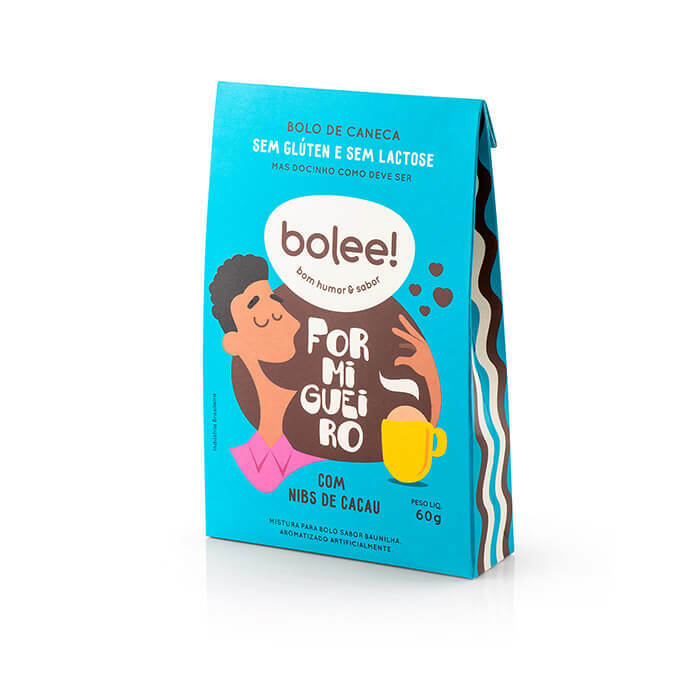 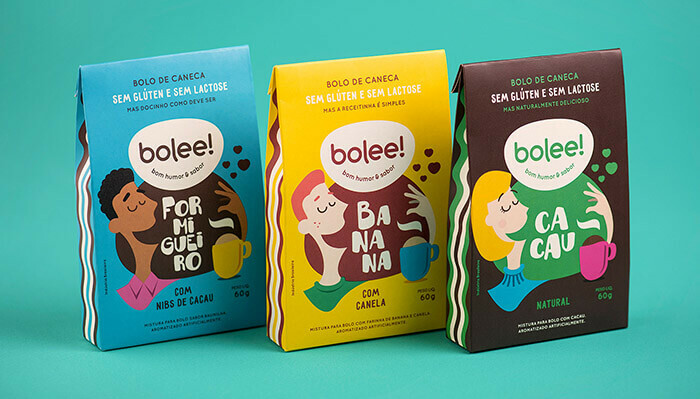 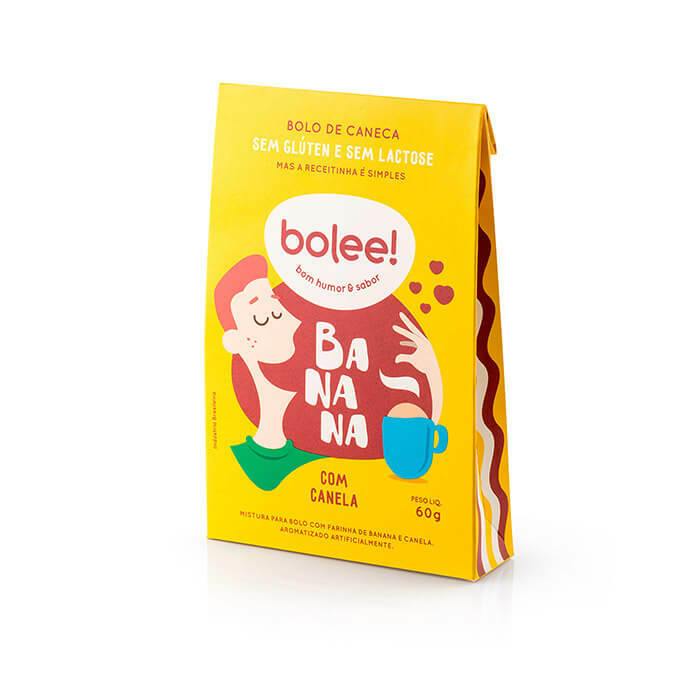 Bolee is a gluten and lactose free cake that you bake in a mug. 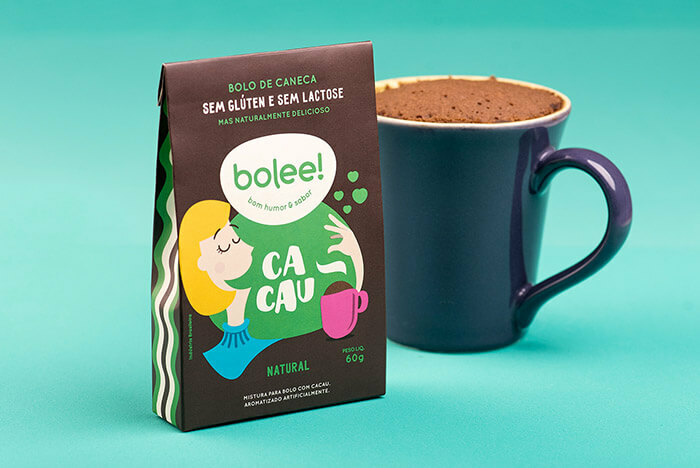 You just have to open the package, drop the powder in your favorite mug and follow the instructions to add the other ingredients. 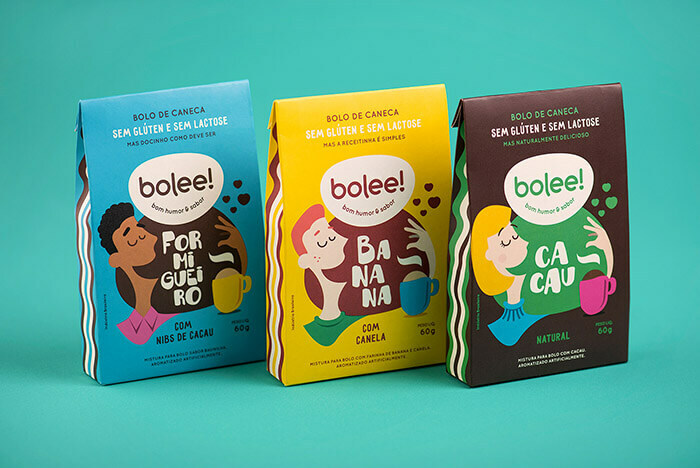 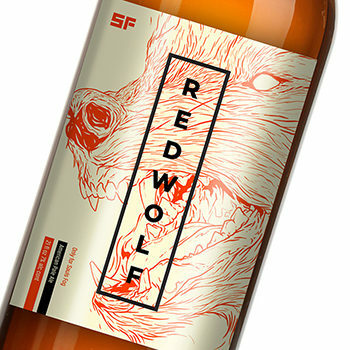 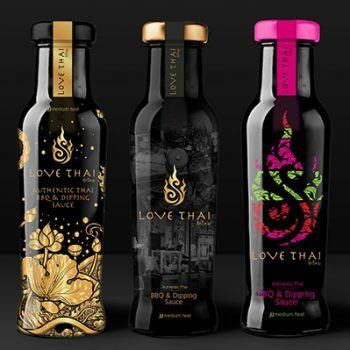 The packaging was designed to make a easier and economic storage, but also giving room to a colorful presentation with illustrations that give the idea of the simplicity and practicality of the product. 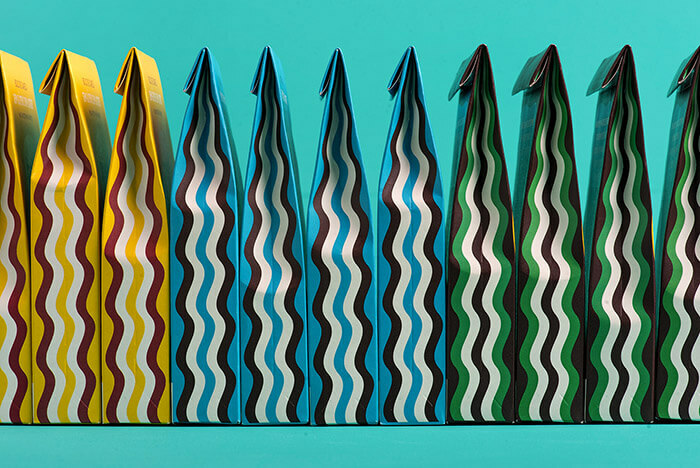 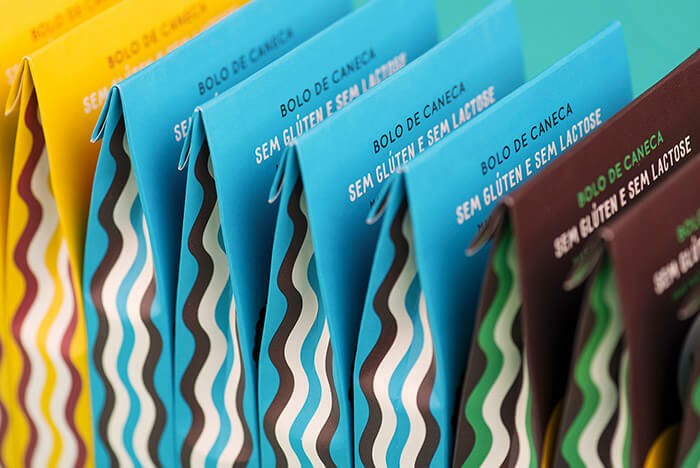 Side by side, the carton packages show a wavy pattern that creates a unity and also gives the idea of a subtle difference between the versions of the product. 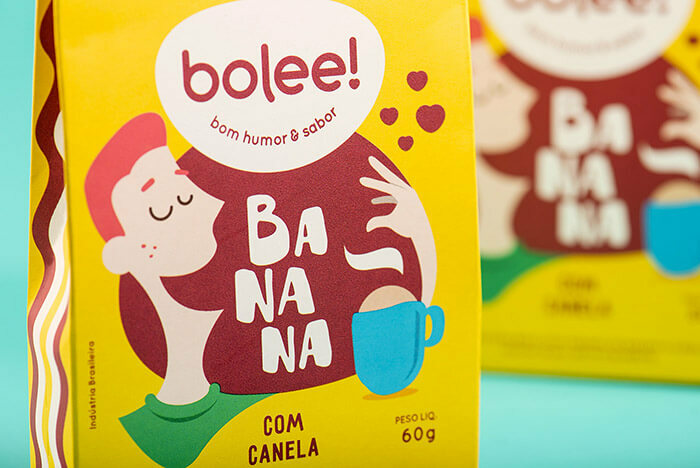 An appealing packaging for a healthy and practical product.